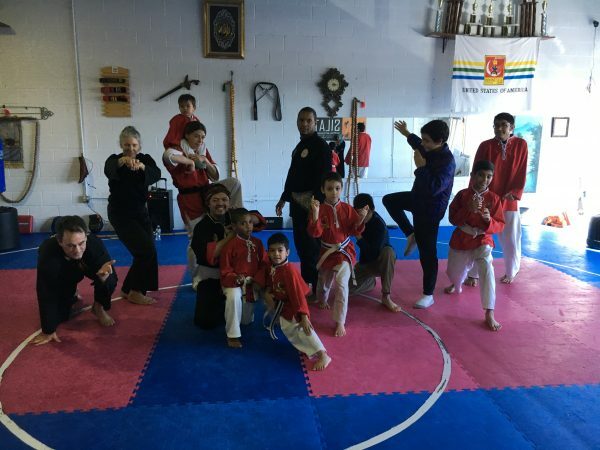 When you train a martial art that is as rare, beautiful, authentic and exotic as Poekoelan, and when you love it as deeply as Jeff and I do, you get used to people looking at you funny when you try to explain your commitment to training and teaching. Why in the world would Jeff work a full time job and show up to teach nights and weekends, all while raising a family? Why on earth would I, a mother of two incredibly wonderful and busy children, pour my heart into teaching Poekoelan and Self Defense 20+ hours a week for years, all the while struggling to keep the doors open to our school which (true confessions) until recently, barely even broke even? We understand that our determination borders on stubborn and that our perseverance has meant myriad sacrifices for our family. We know it’s hard to “get” why we do what we do. Because of this, when we find someone who has a similar experience, there is an immediate and meaningful bond that feels exactly like family. Teammates have become brothers and sisters, while other Poekoelan schools have become our extended family. What I didn’t know until now is that this bond could reach across styles, yank me in the heart, and pull me in with the same intensity and joy. 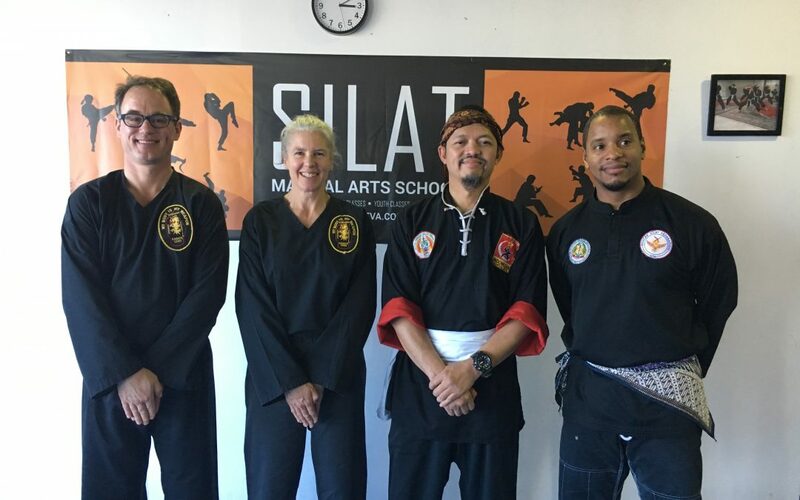 Recently, Jeff and I got the opportunity to visit a Pencak Silat school in Virginia. It was Thanksgiving Day and we were spending time with our family in Washington, DC. 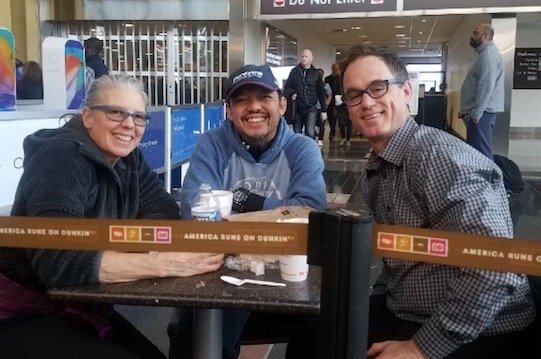 The big meal was moved to an evening time slot so Jeff and I could meet some martial artists whom our friends at the Indonesian Bureau of the Voice of America felt we should know. Nia Maria Iman-Santos, intrepid VOA reporter, picked us up in her mini van and off we trekked to Ashburn, VA with our uniforms handy – just in case. Pendekkar Terra Kurnia has given us the most blessed gift of friendship and family. He, his wife and kids, their students and Pendekkar A. Malik Ahmad welcomed us into the school. On Thanksgiving Day! Together, we shared forms, food and conversation, along with a bond that was immediate and strong. My heart is full and I know we will see one another again! Find out about our new family! The Pencak Silat Al-Azhar VA Branch! “Freestyle” Pose for the Camera after our workout and feast. What a lovely group of students! Pendekar Terra took the Metro all the way to the airport to see us off. This, after a full morning of teaching – and with his family waiting for him at home. Love this! Can’t wait to hear more about it! We’ll be sure to let you know when he comes to our school!